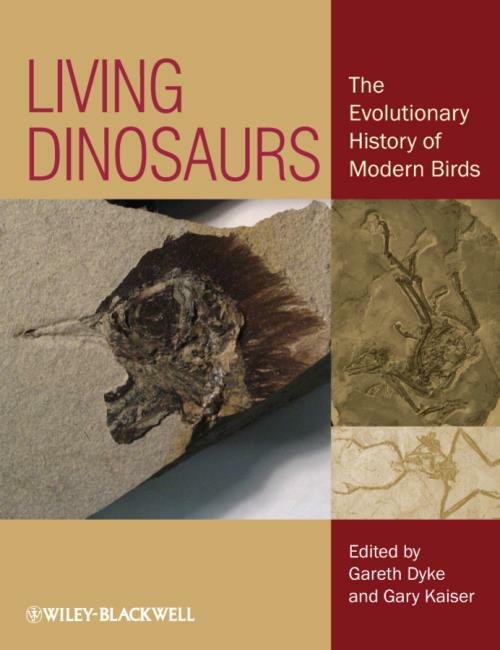 Living Dinosaurs offers a snapshot of our current understanding of the origin and evolution of birds. After slumbering for more than a century, avian palaeontology has been awakened by startling new discoveries on almost every continent. Controversies about whether dinosaurs had real feathers or whether birds were related to dinosaurs have been swept away and replaced by new and more difficult questions: How old is the avian lineage? How did birds learn to fly? Which birds survived the great extinction that ended the Mesozoic Era and how did the avian genome evolve? Answers to these questions may help us understand how the different kinds of living birds are related to one another and how they evolved into their current niches. More importantly, they may help us understand what we need to do to help them survive the dramatic impacts of human activity on the planet. Part 1 Introduction: the Deep Evolutionary History of Modern Birds. Introduction: Changing the Questions in Avian Paleontology (Gary Kaiser and Gareth Dyke). 1 Theropod Diversity and the Refinement of Avian Characteristics (Peter J. Makovicky and Lindsay E. Zanno). 2 Why Were There Dinosaurs? Why Are There Birds? (Peter Ward and Robert Berner). 3 Pre–modern Birds: Avian Divergences in the Mesozoic (Jingmai O′Connor, Luis M. Chiappe, and Alyssa Bell). Part 2 "The Contribution of Paleontology to Ornithology": the Diversity of Modern Birds: Fossils and the Avian Tree of Life. 4 Progress and Obstacles in the Phylogenetics of Modern Birds (Bradley C. Livezey). 5 The Utility of Fossil Taxa and the Evolution of Modern Birds: Commentary and Analysis (Gareth Dyke and Eoin Gardiner). 6 Penguins Past, Present, and Future: Trends in the Evolution of the Sphenisciformes (Daniel T. Ksepka and Tatsuro Ando). 7 Phorusrhacids: the Terror Birds (Herculano Alvarenga, Luis Chiappe, and Sara Bertelli). 8 The Pseudo–toothed Birds (Aves, Odontopterygiformes) and their Bearing on the Early Evolution of Modern Birds (Estelle Bourdon). 9 Phylogeny and Diversification of Modern Passerines (F. Keith Barker). Part 3 The Evolution of Key Avian Attributes. 10 Morphological and Behavioral Correlates of Flapping Flight (Bret W. Tobalske, Douglas R. Warrick, Brandon E. Jackson, and Kenneth P. Dial). 11 Evolution of the Avian Brain and Senses (Stig Walsh and Angela Milner). 12 Evolving Perceptions on the Antiquity of the Modern Avian Tree (Joseph W. Brown and M. Van Tuinen). 13 Major Events in Avian Genome Evolution (Chris L. Organ and Scott V. Edwards). 14 Bird Evolution Across the K Pg Boundary and the Basal Neornithine Diversification (Bent E. K. Lindow). 15 Functional and Phylogenetic Diversity in Marine and Aquatic Birds (Gary Kaiser). Part 4 The Future: Conservation and Climate Change. 16 The State of the World s Birds and the Future of Avian Diversity (Gavin H. Thomas).